Their philosophy on Adaptive Clothing is ease of use and looking good – sounds good to us! They claim to have unbreakable laces, and no hands needed. Have you tried them? Their website says they have served the wheelchair community with good looking, comfortable jeans and slacks. Adaptive Clothing Showroom – says they have special needs clothing for the disabled and elderly. 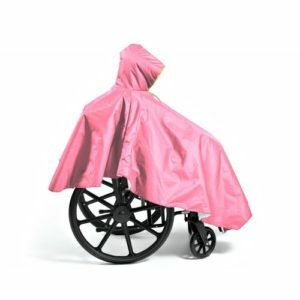 I found this wheelchair poncho and thought it would be useful in those climates that see a lot of rain…like Oregon. 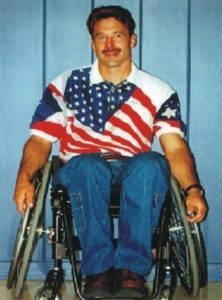 If you come across any other sites, or adaptive clothing lines, let us know. Happy Shopping.